LPSC, 1999, 30, abs. #1966. Noble gas contents, P.Scherer and L.Schultz, LPSC, 1999, 30, abs. #1144. 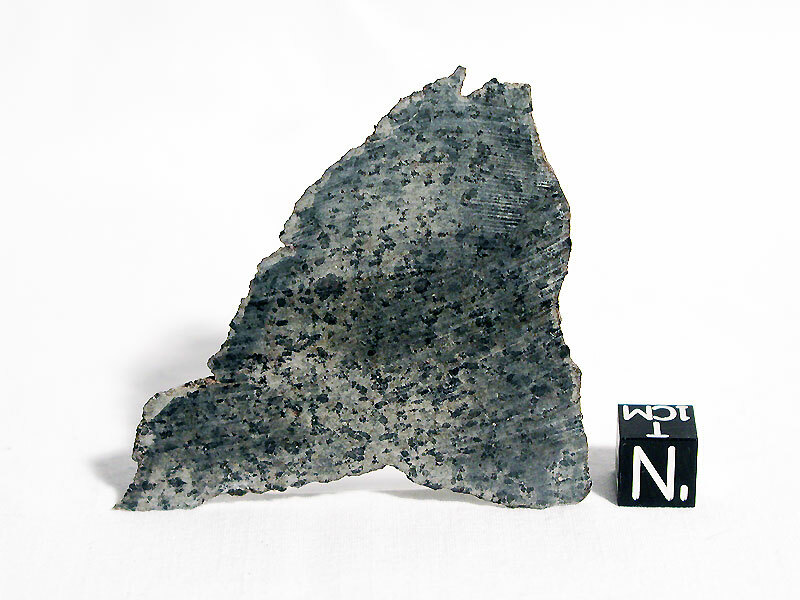 Sm-Nd and Rb-Sr dating, L.E.Borg et al., LPSC, 2000, 31, abs. #1036. ATEM study of shock melt features, A.Greshake and D.Stöffler, LPSC, 2000, 31, abs. #1043. Systematics of Ni and Co in olivine, C.D.K.Herd et al., LPSC, 2000, 31, abs. #1390. Study of chemical alteration due to terrestrial weathering, G.Crozaz and M.Wadhwa, Workshop on Extraterrestrial Materials from Cold and Hot Deserts, LPI Contrib. No. 997, Houston, 2000, p.25. Content of cosmogenic and trapped noble gases, S.V.S.Murty and R.K.Mohapatra, Workshop on Extraterrestrial Materials from Cold and Hot Deserts, LPI Contrib. No. 997, Houston, 2000, p.57. Petrology, bulk chemical composition, and noble gas data, J.Zipfel et al., MAPS, 2000, 35, p.95; see also, LPSC, 1999, 30, abs. #1206. Crystal size distribution of pyroxene, R.C.F.Lentz and H.Y.McSween,Jr., MAPS, 2000, 35, p.919. Relationship to Sayh al Uhaymir 005/008 based on mineralogical and petrographic characteristics, J.Zipfel, MAPS, 2000, 35, p.A178 (abs.). Re-Os isotope systematics, A.D.Brandon et al., GCA, 2000, 64, p.4083. Raman and infrared spectroscopy of feldspathic glass, E.Jagoutz and A.Kubny, LPSC, 2000, 31, abs. #1218. Hydrogen isotopic compositions and water contents of feldspathic glass, N.Z.Boctor et al., MAPS, 2001, 36, p.A23 (abs.). Influence of terrestrial desert weathering, G.Dreibus et al., MAPS, 2001, 36, p.A50 (abs.). Raman spectral features of maskelynite, M.Chen et al., Papers 26th Symp. Ant. Met., NIPR Tokyo, 2001, p.10 (abs.). Major and trace element analysis, J.A.Barrat et al., MAPS, 2001, 36, p.23. Petrology, mineralogy, and trace element analysis of individual mineral phase; paired with Dar al Gani 489, M.Wadhwa et al., MAPS, 2001, 36, p.195; see also, LPSC, 2000, 31, abs. #1413. Mineralogy, petrology, and cooling rate calculation, T.Mikouchi et al., MAPS, 2001, 36, p.531. 92Nb-92Zr isotope systematics, C.Münker et al., MAPS, 2001, 36, p.A143 (abs). Ar-Ar dating, D.H.Garrison and D.D.Bogard, MAPS, 2001, 36, p.A62 (abs.). Pyrrhotite modal abundance, P.Rochette et al., MAPS, 2001, 36, p.A176 (abs). Study of terrestrial weathering based on REE microdistribution, G.Crozaz and M.Wadhwa, GCA, 2001, 65, p.971. Chemical composition of high-Si glasses, J.Edmunson et al., LPSC, 2001, 32, abs. #1439. Calculation of oxygen fugacity, C.D.K.Herd et al., LPSC, 2001, 32, abs. #1150; see also, GCA, 2002, 66, p.2025; C.D.K.Herd, MAPS, 2003, 38, p.1793. Pb and Os isotope systematics, J.H.Jones, LPSC, 2001, 32, abs. #1355. 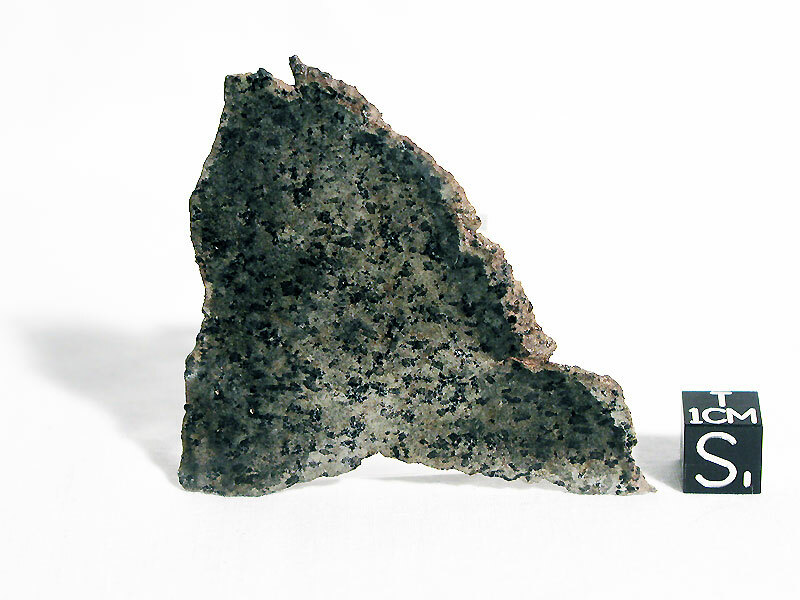 Re-Os dating, R.J.Walker et al., LPSC, 2002, 33, abs. #1042. Noble gas abundances and CRE ages, J.Park et al., LPSC, 2003, 34, abs. #1213. Spinels and oxygen fugacity, C.A.Goodrich et al., LPSC, 2003, 34, abs. #1426. Oxidation state of vanadium, J.M.Karner et al., LPSC, 2003, 34, abs. #1998. Comparison of chemistry with Y 980459 and SaU 005, G.Dreibus et al., Evolution of Solar System Materials: A New Perspective from Antarctic Meteorites, NIPR Tokyo, 2003, p.19 (abs.). Origin of olivine megacrysts; crystallization experiments, E.Koizumi et al., Evolution of Solar System Materials: A New Perspective from Antarctic Meteorites, NIPR Tokyo, 2003, p.56 (abs. ); see also, LPSC, 2003, 34, abs. #1567. Microcrack porosity, M.M.Strait and G.J.Consolmagno, MAPS, 2003, 38, No. 7 (Suppl. ), p.A106 (abs.). Tungsten isotopic composition; 182Hf-182W chronology, T.Kleine et al., MAPS, 2003, 38, No. 7 (Suppl. ), p.A111 (abs.). Micro Raman spectroscopy of plagioclase glass and maskelynite, J.Fritz et al., Papers 28th Symp. Ant. Met., NIPR Tokyo, 2004, p.10 (abs.). Major-element trend for melt and its source material, Y.Ikeda and G.Shimoda, Papers 28th Symp. Ant. Met., NIPR Tokyo, 2004, p.17 (abs.). Nd and tungsten isotopic composition, C.N.Foley et al., LPSC, 2004, 35, abs. #1879. He-4 loss versus shock pressure, S.P.Schwenzer et al., MAPS, 2004, 39, No. 8 (Suppl. ), p.A96 (abs.). Ar-Ar dating of shock veins and melt pockets, E.L.Walton et al., MAPS, 2004, 39, No. 8 (Suppl. ), p.A111 (abs. ).